Love me, love my piglets. Or maybe you’re searching for a present that is practical as well as pig-tastic. 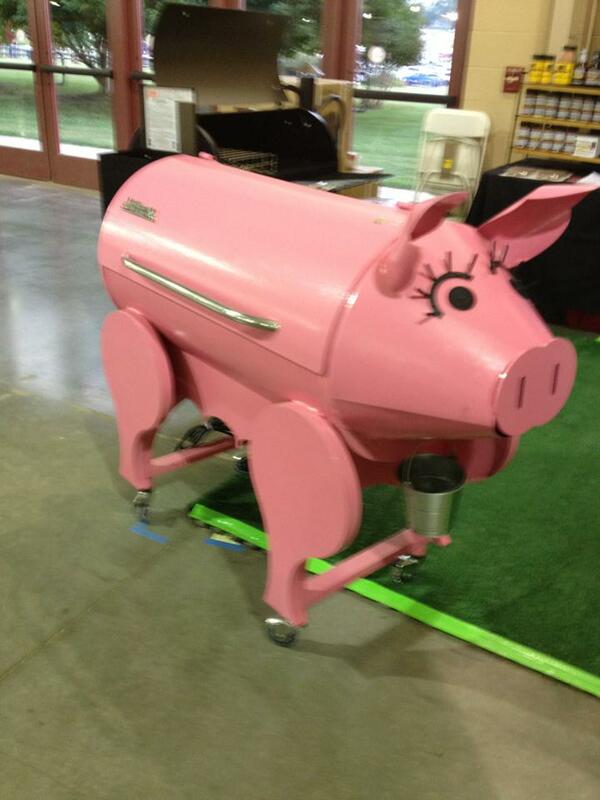 How about this cooker, available at this year’s Williamson County, Tennessee, fair? 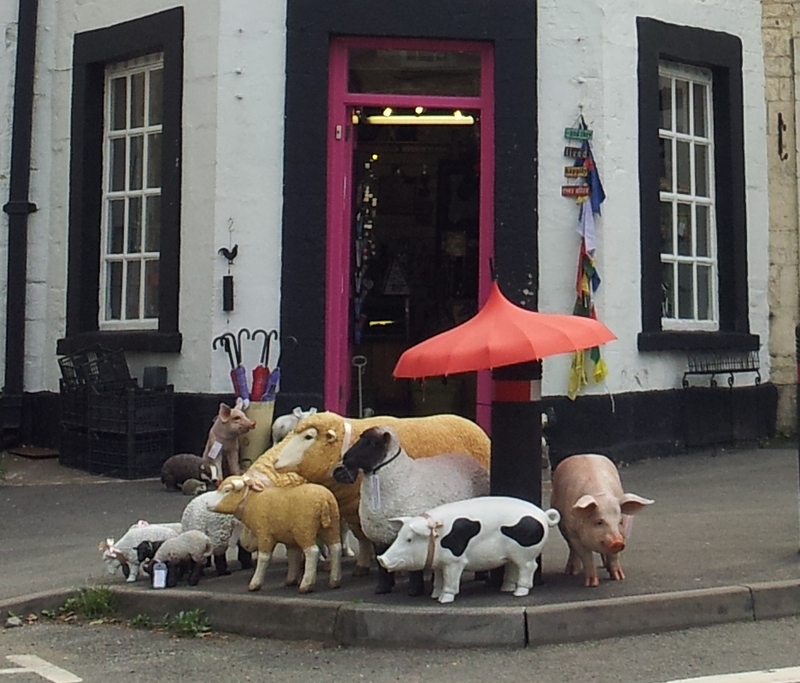 Swine-loving Sandy saw these lawn ornaments for sale while on holiday in Gloucestershire, England earlier this summer. She reported that she wanted to buy the spotted pig in front because she liked his collar, but for some crazy reason her husband thought it wouldn’t go well with the mezuzah in their home’s front window. I personally love how someone has so thoughtfully provided an umbrella for the animals. By the way, the original photo Sandy sent in looks so charming that I have to share it. 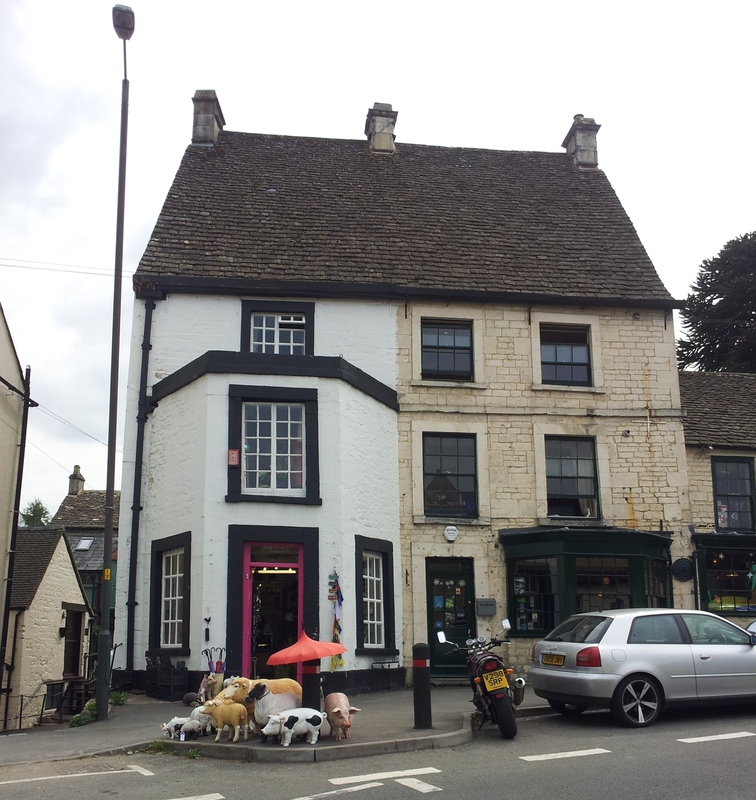 I want to own the space next to the shop and open a yarn store and stand at the window with a cup of Earl Grey in one hand and a blueberry scone in the other and watch the snow fall on a winter afternoon. Instead, I’ll crank the a/c down, grab a glass of iced tea, and daydream about that elusive thing called “cooler weather.” Maybe I’ll even play my Julie Andrews Christmas album on the record player: after all, the holidays are practically around the corner! To submit your own Swine Sign, click on the “About” tab above! 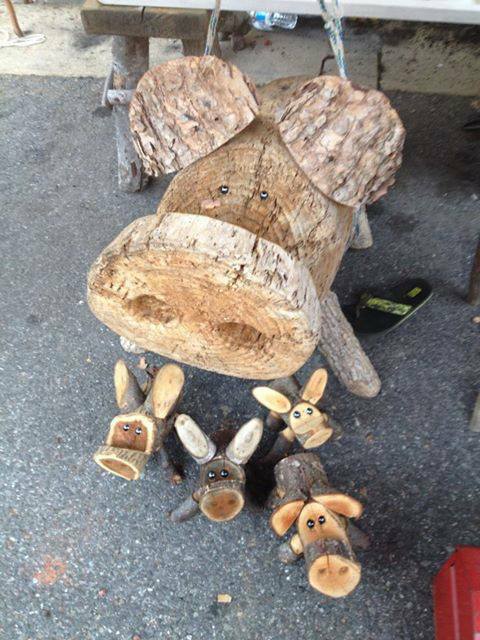 This entry was posted in paraphernalia and tagged England, pigs, Tennessee, Virginia. Bookmark the permalink. Thanks for stopping by, Bacon! Even though the blog has lots of pictures about barbecue places, pigs are never in danger from me–I’m a vegan!